The Starla Diamond pendant captures the full impact and brilliance of a larger solitaire Diamond, within a beautifully crafted necklace design. Set with perfectly cut Round Brilliant Diamonds, each stone has been expertly set to create the effect and illusion of a solitaire pendant. Four faux claws enhance this effect – suspended from a mirror polished loop and accompanied by an 18" curb chain as standard. The Diamonds have been graded H Colour and SI2 Clarity. Typically available from stock, your pendant will be delivered by hand, beautifully boxed and gift packaged. 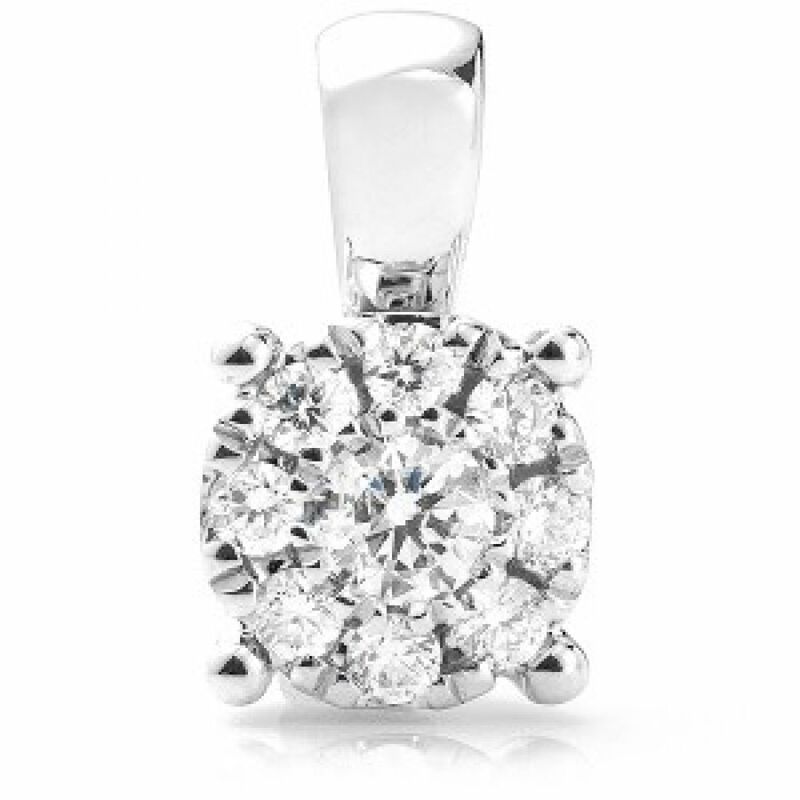 Measuring 5.5mm across the pendant, this design benefits from eye-catching sparkle set into luxurious 18ct White Gold. 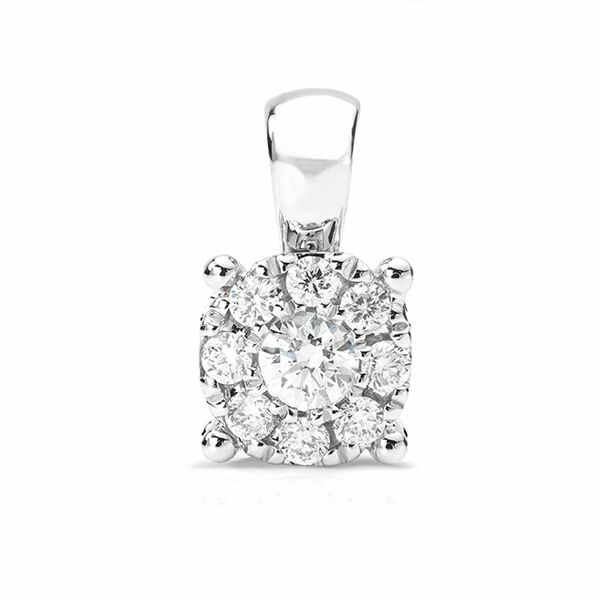 The above photograph shows the Starla diamond pendant, beautifully boxed and ready for delivery, suspended from the 18 inch curb chain also in 18ct white gold.